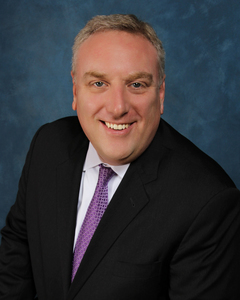 David M. Lutrey is the managing partner of the Lake Forest law firm of Lesser Lutrey McGlynn & Howe, LLP. For the past 19 years, Mr. Lutrey has counseled individuals and corporate fiduciaries as a seasoned litigation attorney in the areas of trusts, estates, probate and guardianships. He appears regularly in the trial courts of Lake, Cook and McHenry Counties. Among his many appeals, he argued before the Second District Court of Appeals in the Estate of Weiland (2003), establishing the standard of proof for pay on death accounts in Illinois and in the Estate of Walsh (2012), establishing presumptions regarding claims in a decedent’s estate. Mr. Lutrey spends equal time assisting individuals in the creation of wills, trusts and other estate planning documents that preserve and transfer meaningful legacies. Mr. Lutrey’s approach to estate planning includes participating in hand-picked professional networks that offer a complete estate planning perspective integrated with the client’s financial, insurance and accounting representatives. In addition to using creative and proven tax planning strategies, Mr. Lutrey draws on his firm’s considerable experience with trust and estate litigation and administration to prepare reliable and flexible plans to meet client needs. In April of 2014, the Illinois State Bar Association (ISBA) appointed Mr. Lutrey to his sixth term on the Trusts and Estates Section Council’s Legislation Committee. In this capacity, Mr. Lutrey has worked with the Chicago Bar Association, the Illinois Bankers Association and other professional groups in the development of Illinois statutes affecting the areas of probate, trusts, estates, guardianships and elder law. Most recently, Mr. Lutrey participated in the drafting of Illinois statutes relating to Trust Decanting and Directed Trusts both of which were signed into law in August of 2012 and is now involved in the Chicago Bar Association’s creation of a proposed Illinois Trust Code that would modernize the law of trusts in our state. Mr. Lutrey is a fellow of the American College of Trust and Estate Counsel (“ACTEC”) and Litigation Counsel of America (“LCA”), is an adjunct professor at Loyola Law School in Chicago and serves on the legal education and outreach committees of the Illinois Institute of Continuing Legal Education’s Estate Planning Short Course, the ISBA’s Trusts and Estates Section Council and the Chicago Estate Planning Council. He is a Past President of the Lake County Estate Planning Council and is currently serving his fifth consecutive term as Chair of the Lake County Bar Association’s Trusts and Estates Committee. In these capacities, Mr. Lutrey has organized a number of seminars designed to educate lawyers on matters pertaining to trusts, estates, probate and guardianships. In addition, Mr. Lutrey is himself a frequent speaker as shown below on topics related to estate planning, administration and litigation for the Illinois Institute of Continuing Legal Education (“IICLE”), the Chicago Bar Association, the Chicago Estate Planning Council, the Illinois State Bar Association and the Lake County Bar Association as well as numerous financial institutions. Mr. Lutrey is rated “AV” by Martindale Hubbell, has been named as one of the Top Lawyers in Illinois for the past five years and was selected by Thompson Reuters as a “Super Lawyer” for the years 2014 and 2015. Mr. Lutrey earned his Juris Doctorate from DePaul College of Law and his Masters Degree in Business Administration from the Kellstadt Graduate School of Management in 1996 with an emphasis in financial investments, tax and other areas related to wealth planning.